The Kentucky Department of Insurance is kind enough to offer Cities and Counties a Model Local Insurance Premium Tax Ordinance. It is, in my estimate, the best and most comprehensive Ordinance of its type that I have seen, with one serious flaw. 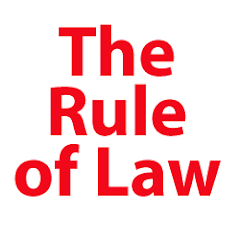 KRS 92.330 requires of Home Rule Class Cities that the purpose for which a tax or license fee is imposed, "shall be specified in the ordinance, and the revenue therefrom shall be expended for no other purpose than that for which the tax was levied or the license fee imposed. Failure to specify the purpose of the tax or license fee shall render the ordinance invalid." Further, KRS 92.340 is also very tough. "If, in any city of the home rule class, any city tax revenue is expended for a purpose other than that for which the tax was levied or the license fee imposed, each officer, agent or employee who, by a refusal to act, could have prevented the expenditure, and the members of the city legislative body who voted for the expenditure, shall be jointly and severally liable to the city for the amount so expended. . . . ."
Alas, the Department of Insurance's Model Ordinance does not seem to include any provision or reminder that a city ordinance must state a purpose for the tax or license fee. I've read through it only three times, so maybe it's there. It looks to be a nasty trap for the unwary city official. Good insurance lawyers are not necessarily good municipal lawyers.